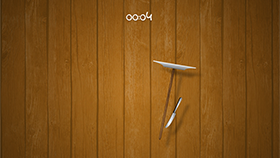 Emanuele takes his Sokoban game and adds swipe controls and Phaser CE support. 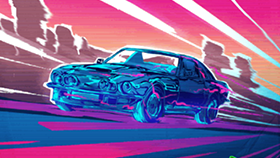 Use your special abilities to evade the captors and run other cars right off the road in this thrilling racing game! 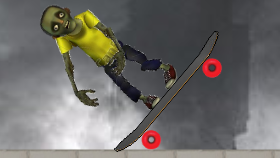 Take your zombie for a spin through the park - just avoid all the spikes and saws. 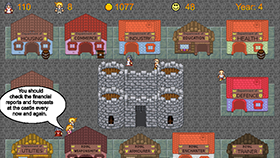 A fast-paced arcade RPG shoot 'em up with resource / city management elements. 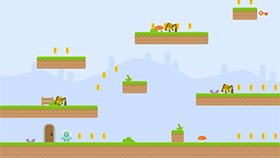 Level up your Phaser games with ES6 in this new tutorial. 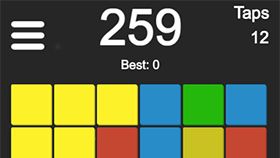 Faced with increasingly complex levels, can you color the whole board? 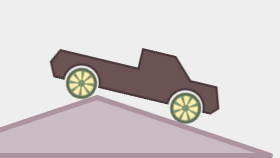 A tutorial about constraining wheels to a truck, increasing grip, and creating a bouncy chassis effect. 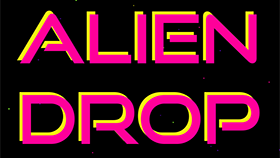 How to create a nice neon effect for a title screen. 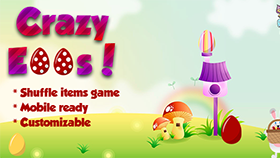 Kill the flying saucers and pick-up the tomatoes in this fun little shooter! 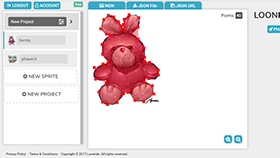 A webpack asset loader for Phaser, including parallel load support, all file types, retina postfix support and compressed texture support. 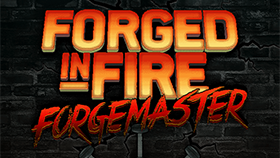 Use sweat, fire, force of will, and a well-timed key presses to turn raw material into an authentic blade, in this game based on the TV series. 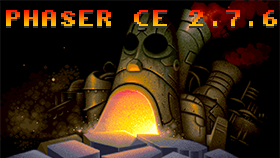 The latest version of Phaser CE is now released, including new fixes, especially with compressed textures. 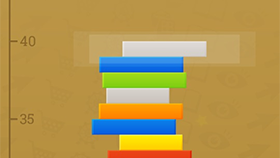 Drop the bricks into the pile and see how high you can go, in this compelling one button game. 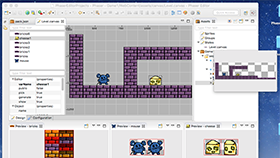 A massive update to the excellent Phaser Editor, including long-awaited MacOS support, Sprite prefabs, TypeScript support and lots more. 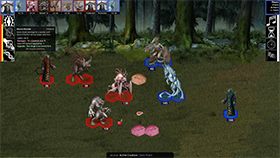 A turn based strategy game, featuring a wide variety of units to acquire and put into battle. 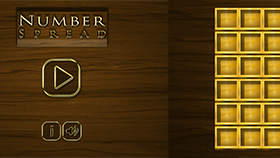 In this tutorial you'll learn how to make your MMO scale better, using Phaser Quest as an example. 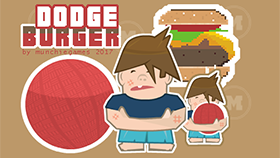 Throw the ball and hit the burgers, but avoid the dudes. 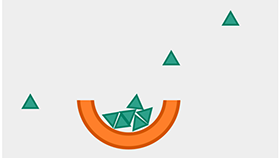 A fun but brutally challenging platformer. 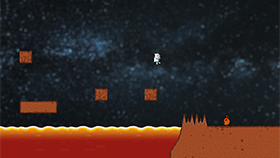 Wall jump your way to the end, and avoid everything! 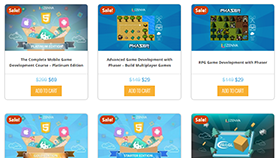 A tutorial on how to handle client synchronization in real-time multiplayer games like Phaser Quest. 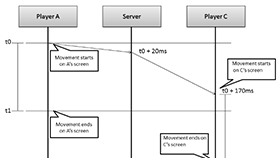 An article explaining how the server keeps track of the latency of all connected players in Phaser Quest. 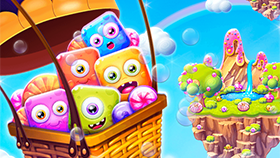 This match 3 game has beautiful graphics, bouncy animation, and is dripping with sugary charm. 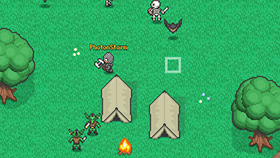 Explore the world, find better equipment, fight monsters and defeat the final boss - alone or with friends. 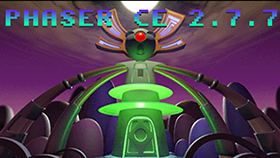 The latest version of Phaser CE is now released, including lots of fixes, updates and new features. 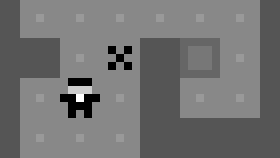 How to make a game using P2 physics to create non-rectangular collision. 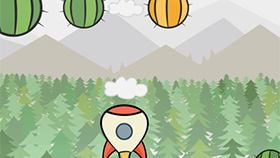 Continue flying upwards, without touching the cactus, in this epic and addictive hot air balloon game! 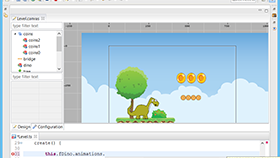 Loon Physics is a P2 Physics Body Editor, that exports the physics data to json for Phaser. 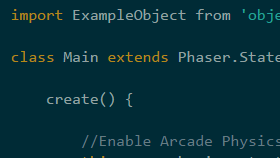 A tutorial on how to smoothly transition from one Phaser State to another. 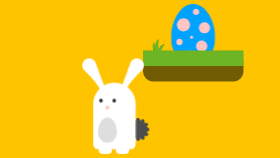 Collect the eggs, avoid the foxes, and see how high you can get in this super-cute Easter game. 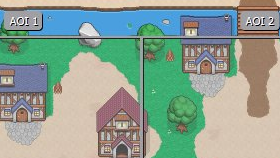 The final tutorial in the series on making responsive games, this time offering different layouts per orientation. An Easter themed shuffle game. Keep your eye on the eggs as they zoom around. 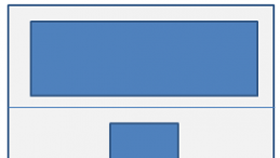 The second tutorial in the series on making responsive games. 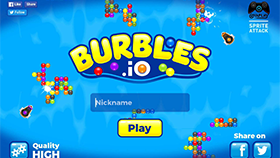 Sink or swim in this massively multiplayer bubble shooting ship game. 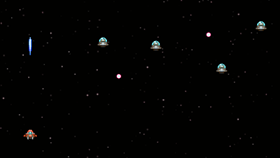 Part 1 in a new series of tutorials on how to Make a responsive Phaser game. 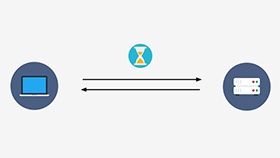 How long can you balance a spinning plate on a stick? 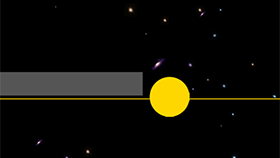 In this fun physics action game. The complete 'Make a platformer' games workshop is now available online. 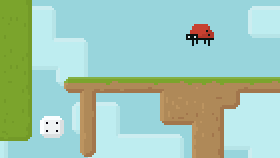 You are the ladybug Euphrosine and you must run, jump, climb and float to collect 10 dots on your back. 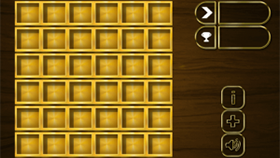 A new tutorial series on creating a game like Pudi, a mixture of match-3 and Tetris. How far can you go? 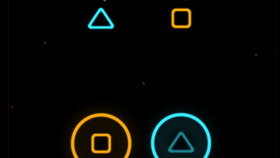 Just tap to change direction and dodge the obstacles. 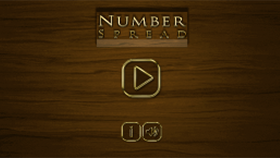 A project aimed to help you when building Phaser plugins. 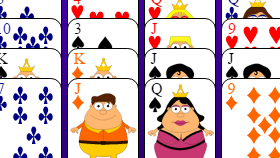 The game of solitaire played with 2 decks at once - plus the developers making-of article.